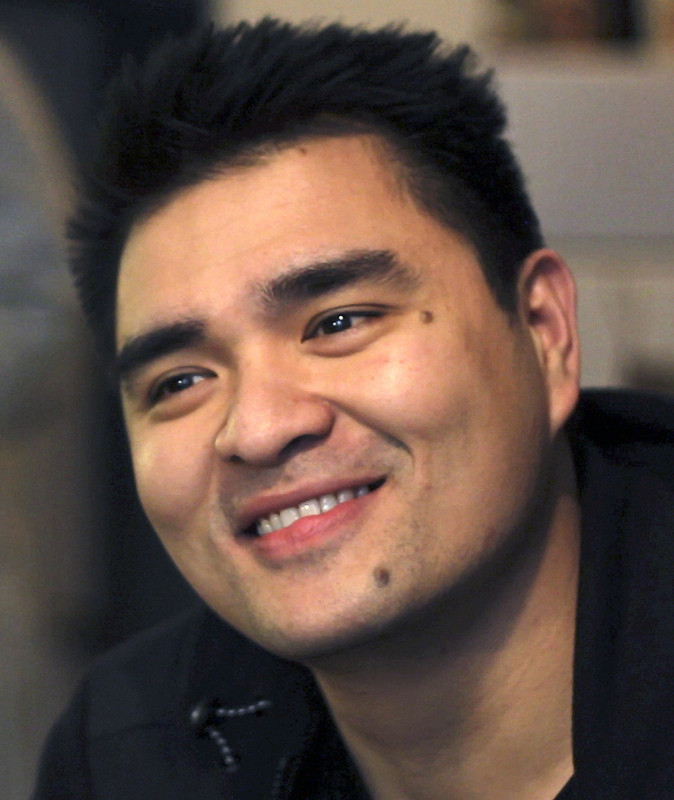 Jose Antonio Vargas: 'If I Didn't Tell Those Lies ... I Couldn't Have Survived' : The Two-Way The Pulitzer Prize-winning journalist talks to NPR about why he decided to tell the story of his life as an undocumented immigrant and what coming out could mean for his future. Jose Antonio Vargas, a Pulitzer Prize-winning journalist, announced this week that he is an illegal immigrant. There were two words, said Michele Norris, missing in Jose Antonio Vargas' New York Times Magazine piece. Vargas, as we reported, is the Pulitzer Prize-winning journalist who came out as an undocumented immigrant in a detailed story to be published on Sunday. But, Michele told him, he never said, "I'm sorry." In the piece, Vargas recounts how he had to doctor a Social Security card and say that he was a U.S. citizen to obtain jobs at publications like the San Francisco Chronicle, The Washington Post and The Huffington Post. "I am sorry for breaking the country's laws — my country's laws," Vargas told Michele on All Things Considered. "I am no different than anybody else in that I wanted to live my life and I wanted to survive and if I didn't tell those lies, I couldn't have gotten work and I couldn't have survived." But those lies, he said, got to him. Vargas said it's important to remember that he came forward with his story. "It's get exhausting," he said. "I came forward because I couldn't do it anymore. If I can't do it anymore, imagine how many millions of other people out there can't do it anymore. "Imagine how many kids out there ... who are sitting in those classrooms across this country are thinking to themselves, 'What am I going to do?'" he said. "This is what this is about." Vargas said he made a decision to come clean about his legal status last December when the Senate rejected the DREAM Act. The legislation would have given legal status to children who were going to school and had been brought to the country illegally by their parents. Vargas said that day he took a long walk across the Brooklyn Bridge. The previous months, he had been watching news about a group of students who walked from Miami to Washington, D.C., in support of the DREAM Act. Vargas said throughout his journalism career, he's written some 650 news pieces, but this was the story he was afraid to tell. But, inspired by the students, he decided, "there something here I can do." "This can't be just about me," he said. "I'm hoping to use this conversation in a broader sense. I want to look at this issue as holistically as possible and not play political football with it." He said that while he was covering the 2008 primaries for The Washington Post, he woke up in a Kentucky motel when he saw a white cleaning lady. Vargas had never seen a white person cleaning a hotel room. So he got to talking to her and found out she traveled more than 40 miles a day to work this job. With the economy the way it is, said Vargas, and given the changing demographics of the country, he understands that people feel "unsettled." "This is the kind of complicated gray area that I'm mostly interested in when I talk about immigration moving forward," he said. Still there are personal issues Vargas will likely have to face. He said his lawyers told him that writing this story he was committing "legal suicide:"
He said his grandmother has been crying since the the story broke. "I cannot even imagine the burden," he said. "She is so scared and worried." In August, he said, she will turn 75. "I told her that by them I'm hoping everything will be over," he said. "And I'm going to throw her a really big party, and she's not going to have to worry about it."